The LA Injury Group Los Angeles personal injury attorney team can do a lot for you. They can take your case, work through, and help you to get the settlement that you deserve. Before all of that happens, however, you have to reach out to them. By taking that first step, you give yourself and your loved ones the opportunity to get adequate compensation for everything you’ve gone through. After you’ve been injured, it’s normal and natural to feel lonely and scared, even if you’re surrounded with those who care about you. Once you take the first step and contact the LA Injury Group, they can get to work for you. The most important thing to any of the Los Angeles personal injury attorneys at the LA Injury Group is the health of their clients. That’s what is always the most important thing to focus on: making sure you’re OK. That’s why, when you come to the firm, they put you in touch immediately with some of Southern California’s best medical professionals. Then, you can receive the best care possible. Once you’re under the care of these medical pros, you can focus on what’s most important: your recovery. Your family and loved ones want to make sure you heal, and the LA Injury Group is glad to do everything they can to help. It’s important to point out here that even though the LA Injury Group will do everything they can to make sure that you get what you deserve; they never lose sight of you recovery. They’ll check up on you, making sure that you’re progressing and just to see how you’re doing. There’s a feeling among the LA Injury Group’s attorneys that the clients aren’t just clients; they’re family. These attorneys are by your side, often literally, every step of the way. There’s nothing more rewarding for a personal injury lawyer than to see a client and their family get the money they’re owed. No matter how you’ve been injured, your personal injury attorney will launch an investigation. That way, they can have the most facts possible. With the most facts, they can build the most compelling case to get you everything that you should have in compensation. This investigation will be utterly detailed and completely thorough. The investigations that the LA Injury Group lawyers conduct go by a “no stone unturned” edict. Once they’ve gotten all the evidence together, then they can begin to put together the best argument on your behalf. During the investigative step is yet another part of the process where a Los Angeles personal injury attorney with experience really shines. A lawyer that isn’t familiar with investigations will miss things, important details that could sway a case. Someone who hasn’t done this kind of investigation often won’t know everything to look for, and thus won’t give their client their best opportunity for compensation. The LA Injury Group has attorneys who have been through these kinds of investigations before. They know exactly what to look for, and where to look for it. Perhaps even more important: they know what they’re looking for when they find it. That being said, every Los Angeles personal injury attorney knows that every case is different. No two clients are the same; no two accidents are the same. So, to that end, the LA Injury Group employs lawyers who have specialties in many different kinds of accidents. There are many lawyers who really focus on car accidents. There are other lawyers who know quite literally everything there is to know about motorcycle accidents, or even bicycle accidents. Legal professionals understand that big rig and semi truck accidents are completely different cases than ones that involve other kinds of vehicular accidents. The LA Injury Group has the kinds of lawyers who have dealt with cases involving all kinds of vehicles, and now they can put that experience to use for you. On top of that, the LA Injury Group has an attorney familiar with every kind of accident that doesn’t involve a vehicle, too. There are experts at pedestrian accidents. Those are those times when someone has been injured through no fault of their own, because they were quite literally walking in the wrong place at the wrong time. 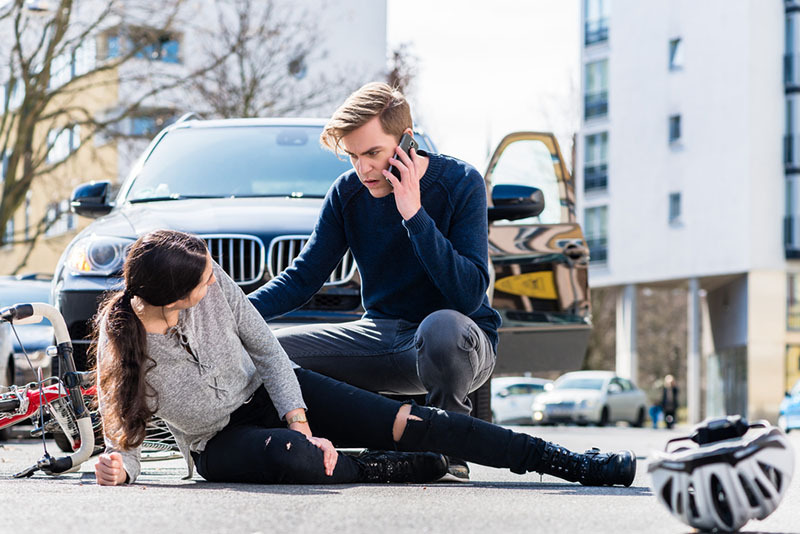 Beyond that, they also have a team of “slip and fall” accident attorneys, each of which can handle cases where someone falls down and is injured through the negligence of another. The LA Injury Group has an attorney for every kind of personal injury and then some. Any lawyer will tell you that, during the investigation, the only thing as valuable as experience is resources. It’s hard to get all of the evidence you need to make a case if you don’t have the modern technology to get the evidence. Things like accident reconstructionists, or infrared cameras and the like cost quite a bit of money to use in an investigation. The client shouldn’t have to pay for it. If you don’t have these kinds of resources on your side during an investigation, you certainly won’t have adequate resources on your side during the negotiation or trial parts of the process. If you’re going up against a well funded insurance company or some other kind of well-heeled group, it will be difficult for you to get the compensation you deserve. This is yet another area where the LA Injury Group excels. The Los Angeles personal injury attorney team has the kinds of resources that allow them to do whatever has to be done in any case. If there’s some kind of technology or professional who can help to make the case, the LA Injury Group will make sure your case has it. You deserve to have the best lawyers and resources on your side. You know that the other side will have great lawyers and the like on theirs. The LA Injury Group takes great pride in allowing regular people to stand up to big insurance companies and win. The “winning” part of the case is one of the most important things to the LA Injury Group. They understand that there’s a lot of ways to “win,” but only one thing truly counts as a win: you getting all the compensation you should for you and your loved ones. That’s what everything the LA Injury Group does is working towards. Every single move and thought during the case is in service of that one ideal. They win when you do. To that end, the LA Injury Group is very “hard-nosed” in negotiations with insurance companies and similar entities, so that you can get what you deserve. That being said, they keep you in the loop so that you always know exactly what’s going on. Too many other personal injury law firms don’t tell their clients what’s happening, and then just take the first settlement that they’re given. The LA Injury Group never does that. They tell you what’s going on when it’s going on, so that you can make the best decision for yourself and everyone who counts on you in your life. The LA Injury Group is waiting to take your case. When you’ve been hurt and injured, it can be difficult to reach out. You owe it to yourself and those who count on you to get the most compensation for your energy. When you’re ready, take that first step and go to the LA Injury Group website to see everything they have to offer. You can also call their Los Angeles personal injury attorney team at (818) 210-4558 to get the best professionals on your side during your case.